Divine Mother and Child foundation’s aim and objective is to promote maternal and child health in Ghana. Every day, around the world, approximately 800 women die from preventable causes related to pregnancy and childbirth. Ninety nine percent of all maternal deaths occur in developing countries and the rate is higher among women living in rural areas, and in poorer communities. Improving maternal health is part of the Sustainable development Goals (SDG) 3. Severe bleeding is one of the leading reasons women die in childbirth. The only way of detecting abnormal placenta challenges is via an ultrasound. Ultrasound medicine is experiencing drastic changes, resulting in a veritable paradigm shift. New technology is disrupting how ultrasound imaging is currently executed by whom and at what cost. Technology creates additional access, reduces costs, which is driving accessibility and paves the way for new, sustainable models of healthcare economics. In Ghana, ultrasound scan is routine for all pregnant women but one major challenge is the scan not many enough. The few machines we have are only found in the district hospitals and hence pregnant mothers are expected to travel from the villages to queue for the service. This stressful atmosphere has prevented most people in accessing the service thereby delaying and defaulting in antenatal care which eventually might result in mortalities and other pregnancy related complications. Our approach is so unique and seeks to provide the service to our pregnant women in their own environment and in their own community. Divine mother and Child Foundation since 2015 has been offering a mobile ultrasound scan services for pregnant women in rural communities with over 4000 beneficiaries. We are reaching out to individuals and organizations to sponsor ONE pregnant woman to access free ultrasound scan every month. The cost of the ultrasound scan including transportation to the communities is Thirty Ghana Cedis (GHȼ30.00) or Seven dollars ($7.00). Your support to the organization will enable us visit rural communities across the country. 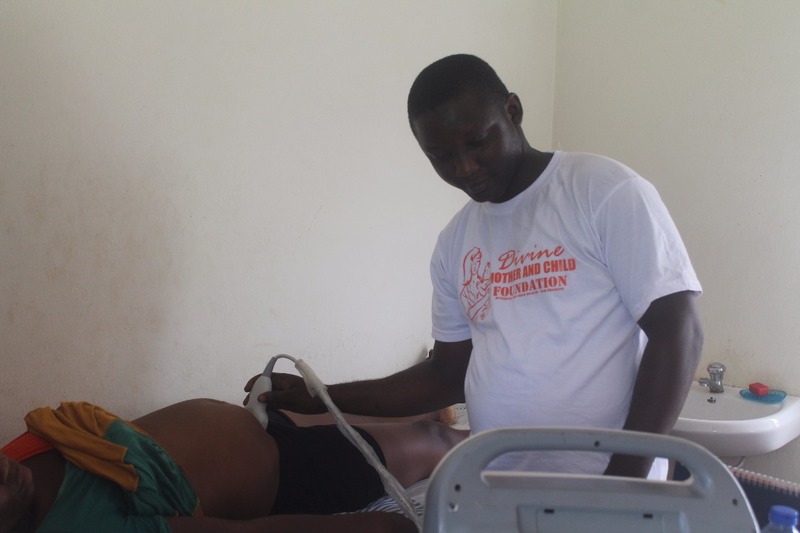 Each month, the ultrasound scan team will visit one selected rural community in Ghana for the services. It is expected that 50 pregnant women benefit monthly from this campaign. We believe this campaign will increase antenatal service,decrease maternal mortality, allow rural pregnant women know how their fetus is doing and also prepare for delivery since expected date of delivery will be identified using the scan and announced to them. Transportation and medical supplies will be needed for the team to travel to rural communities to offer the ultrasound scan services.